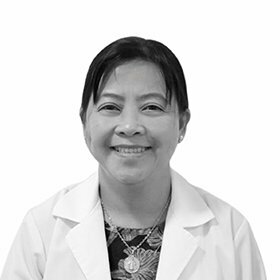 Dr. Maria is a Dental Practitioner with a rich experience of 25 years in General and Orthodontic Dentistry in the Philippines. She worked as a company dentist in different prestigious companies catering to employees’ dental needs from the very basic assessment and consultations as well as to the most complex dental procedures. Dr. Maria earned her degree of Doctor of Dental Medicine at the Cebu Doctor’s University and had attended post-graduate studies and trainings from different institutions. She had also attended special trainings from Alberta Advanced Dental Center in Alberta, Canada as well as from Eastman University College London, London, UK.